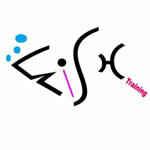 HALF Fish Training are an approved training centre of Swim England Qualifications courses, operating nationwide. HALF Fish Training is a training centre offering courses leading towards Swim England qualifications, all of our tutors are currently delivering on pool-sides across the country, so we are all fully versed on up-to-date techniques and practices. The centre is lead by award winning tutor, Shelley Whitehead, who is also an Advanced Practitioner and leads the team at our own pool, HALF Fish HQ. We link in closely with the local clubs and offer reasonably priced courses for anyone who wants to become involved in all areas of aquatics. HALF Fish Training is continually developing their own resources which they share with candidates on their courses, which they have developed when teaching and coaching their own swimmers. View the latest HALF Fish Training courses below. Click or tap on the name of a course to find out more and register.